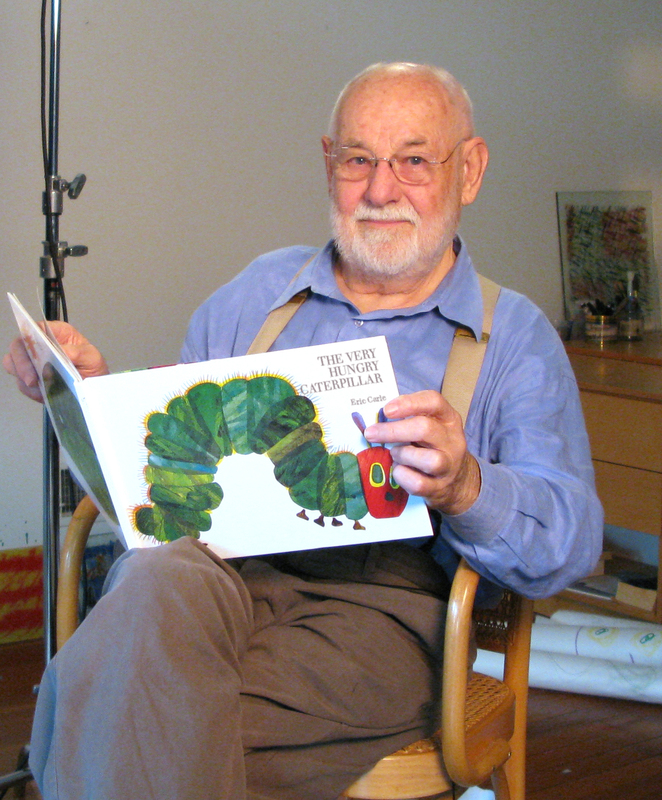 For many of us, it’s hard not to smile when we think of Eric Carle. Carle’s imaginative books have probably touched you in some way – perhaps through the thrill of a brown bear looking at you, or maybe through the memory of a loved one reading The Very Hungry Caterpillar aloud. How did Eric Carle become Eric Carle? Behind those magical worlds, there’s a son of immigrant parents who endured extreme hardship; a man who paid his dues at an ad agency before becoming a children’s book author seemingly overnight; and – thanks to an editor’s casual suggestion – a writer who discovered his most famous character in a sudden flash of inspiration. Here’s how those experiences informed the stories we love today. The Carle family immigrated to America just in time for the Wall Street Crash of 1929. It didn’t take long, however, for Mrs. Carle to get homesick and move the family – now including an American-born son, Eric – back to her native Germany. Unfortunately, this move came shortly after the Nazis had gained power, leaving the Carles stranded in one of world history’s most repressive regimes. In the face of fear and hatred, just how did the future author develop the sense of curiosity and joy that has defined his books? Fortunately for all of us, a teacher noticed Carle’s talent for art and introduced him to geniuses such as Matisse, Picasso, and Paul Klee, who were all banned by the Nazis. 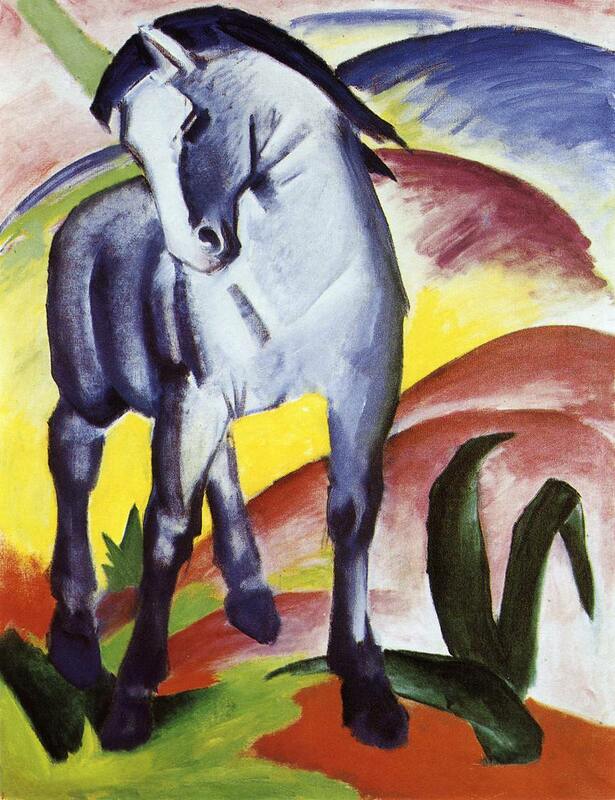 He recalls seeing one piece in particular that has stayed with him for decades: a painting of a blue horse by German Expressionist Franz Marc. To Carle, this painting proved that there is no such thing as a wrong color, a message he passed on at the age of 82 with his 2011 book, The Artist who Painted a Blue Horse. The freedom and creativity of the mind have always been important to him, and these values are apparent in his work and life. Growing up in Nazi-controlled Germany, he longed for the freedom he felt in America, where he was entranced by Mickey Mouse and Flash Gordon. After finishing art school, Carle moved to New York City and worked for many years at an ad agency. It wasn’t until he met a man named Bill Martin Jr. that he became involved in children’s literature. Because Martin was drawn to Carle’s artwork, he asked him to illustrate a book he had written. Illiterate until he was twenty, Martin learned to read by observing the rhythms of language. 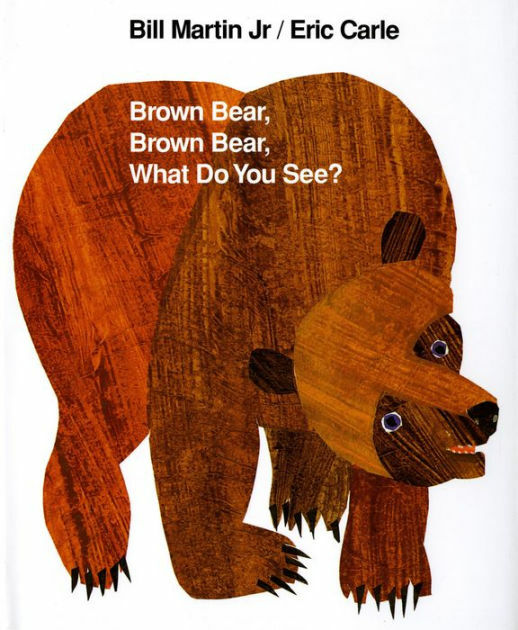 His experience learning to read through rhythm influenced his collaborative book with Eric Carle, which was published under the name Brown Bear, Brown Bear, What Do You See? Book Cover for Bill Martin Jr. and Eric Carle’s Brown Bear, Brown Bear, What Do You See? The book reflects not only Martin’s discovery of language but also Carle’s love of animals. When Carle was a child, his father often took him on nature walks. These walks are among his most cherished childhood memories. He was so taken with nature that for a time he considered becoming a forester. This love of nature, combined with his active imagination, has kept Carle flush with creative ideas for decades. While using a hole punch one day, for example, the holes looked to Carle like a bookworm had eaten its way through the paper. Inspired, he wrote a book called A Week with Willi Worm. 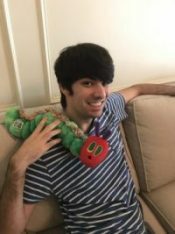 And so The Very Hungry Caterpillar was born. Make plans to see THE VERY HUNGRY CATERPILLAR SHOW, which runs at DCT now through February 25, 2018. To purchase tickets, visit dct.org, or call the DCT Box Office at 214-740-0051. THE VERY HUNGRY CATERPILLAR and associated logos are trademarks and/or registered marks of Eric Carle LLC, © &™.